Eureka! The National Children's Museum is by the train station in Halifax, which is just off the M62 between Leeds and Manchester. Absolutely cram-packed with exhibits designed for children aged 0-11 to experience, touch, play with and learn from. During December they have several special events, including Santa's Grotto and a special festive show 'Night Lights'. 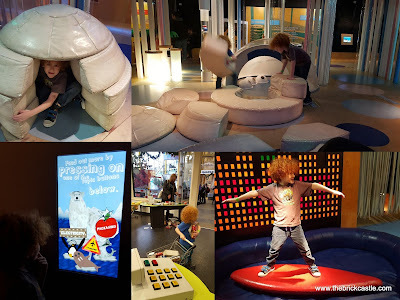 I've never been to Eureka before, I feel bad about that now because we actually only live 45 minutes drive away and my little lads adored it. They loved it there so much that we had to promise we'd come back just to make them leave. 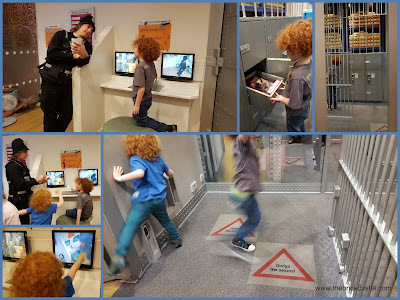 The boys had so much fun pretending to be actors, gas pipe layers, shopkeepers and a Bank Manager and bank robbers, that we could have spent our entire day just in the mock street. In fact, make that two days. We actually spent 90 minutes in the bank! 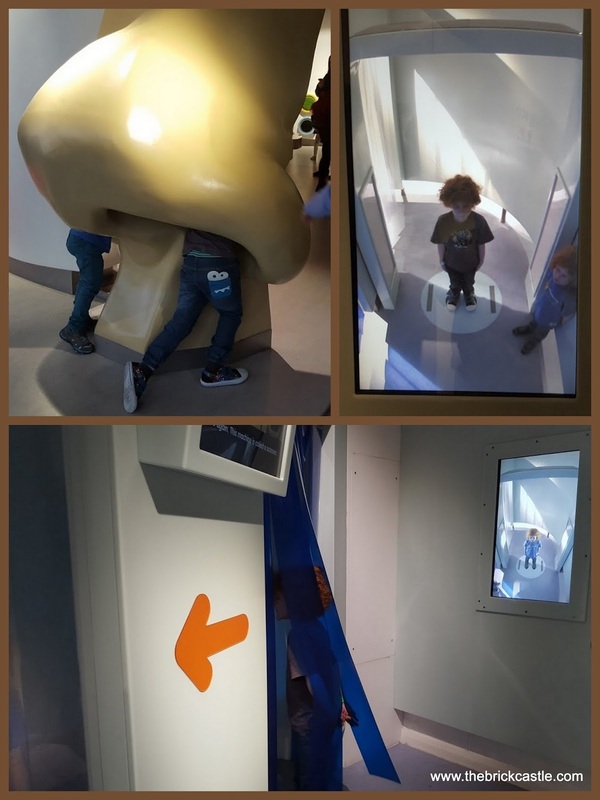 We did however manage to have a look around the entire museum, making igloos and pretending to be surfers, exploring the human body and trying out a 'body scanner'. My 5 year old loves noise and light, so he really enjoyed having a go at running a TV studio, changing the lighting and making some rather noisy sound effects! There was also a huge garage area which my partner also enjoyed playing in. My 7 year old really has been paying attanetion at the petrol station, he's got the expression spot on...not so sure that my 5 year old has the right idea about the car wash though. 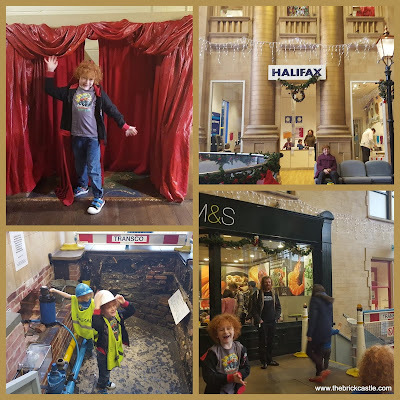 As well as testing the museum, we were there to take a look at the Christmas events. The special festive show Night Lights! has several lighting effects and my boys have been 'throwing' the light from their torches each evening since! A half hour show with a cast of 2, Night Lights! starts with a boy who is scared of the dark, but by the end he realises he isn't scared, and there's lots of light from the moon. The other character is his big brother. 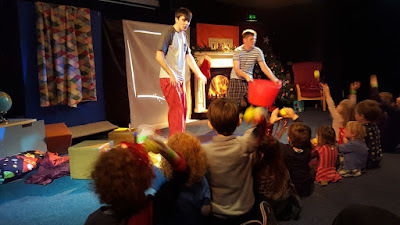 I believe we saw the first performance, and so the flow wasn't quite there as the actors were still learning about how the children would react and interact, but the kids loved it. They laughed and shouted, and joined in, and it's a show that'll only get better as it goes on. Very accessible to children who don't speak English well, Night Lights! even includes smatterings of British Sign Language and is very visual with large movements and plenty of expression. 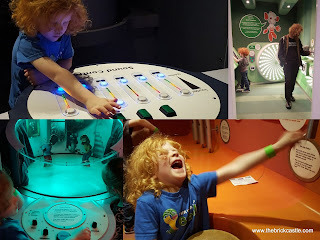 Our children also experienced a Eureka! Birthday Party over lunchtime. 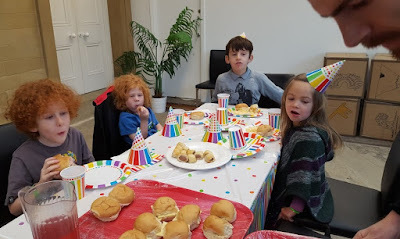 A lovely colourful table full with a buffet lunch which was great in my opinion - ham and cheese cobs, sausage rolls, pom bears and fruit are pretty much what my young children pick for their birthday tea each year. 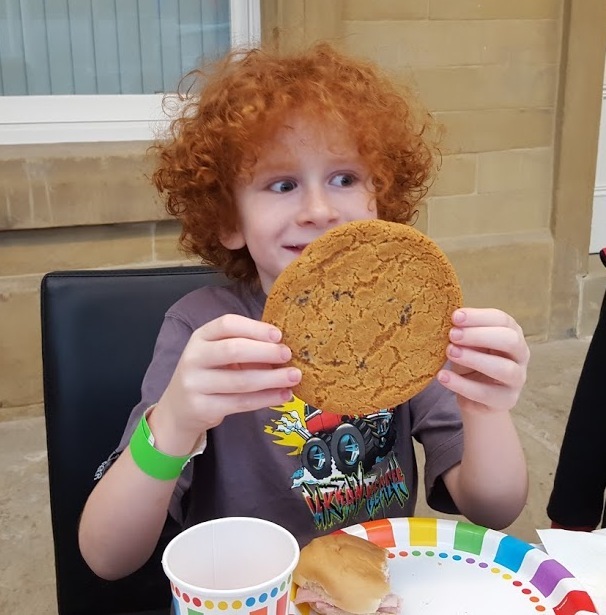 The faces in the photo above were because they'd just seen their dessert coming - the biggest cookies you have ever seen! After lunch the Eureka! Our party guests got to choose between a Fairy Tale Party with a storyteller or a Crazy Science Party with Professor Science. My boys went for the science, and were given a sheet of paper and pen, and asked to create their own superhero. They had to choose a name, a goal, a superpower and a nemesis. 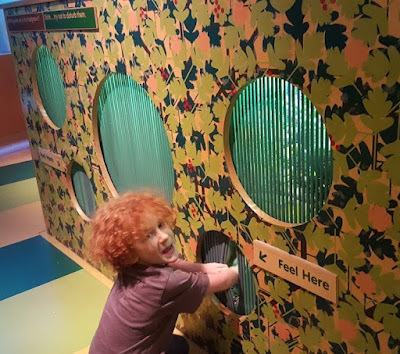 In the case of my ever-so-proud 5 year old his answers were 'Ben Poo', 'defeat', 'poo' and his brother....but he's only 5, and he filled in all of those answers all by himself, laughing as he did it. 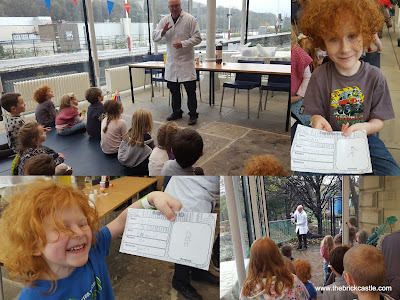 Professor Science also treated the children to a few easy experiments which any superhero can recreate at home, the highlight of which is one to only try outside - the infamous 'Mento's And Coke Experiment' (as once performed by my very sorry and wet second eldest at a services on the way to Cornwall). 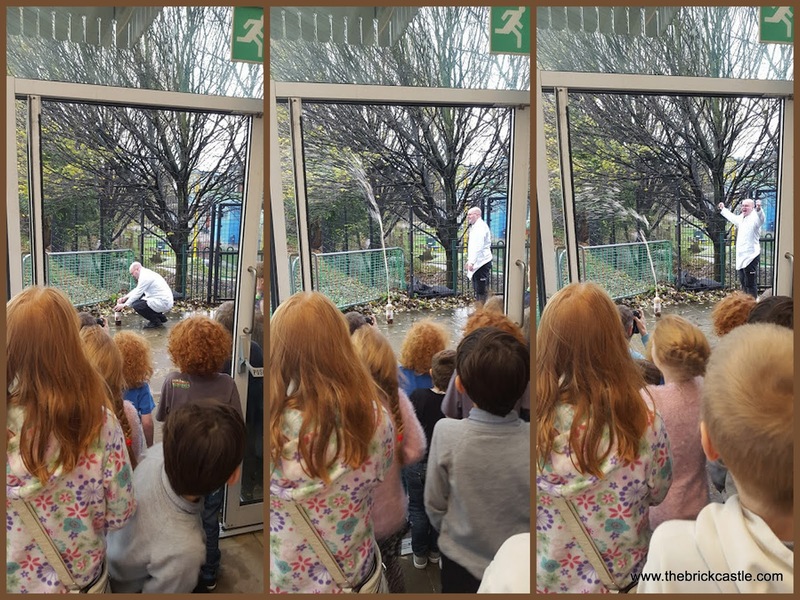 Naturally the kids loved it, and he was very good. 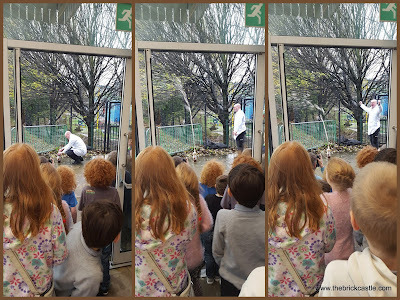 He kept control and had no trouble at all maintaining the children's interest. The parties are held in a conservatory extension to a massively impressive building alongside the railway line, and it's a really nice venue which was plenty warm enough even in November in the rain. 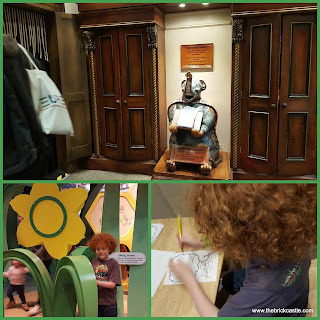 We went back into the museum afterwards, and the children were able to explore some more areas. There were a couple of quiet times for my 7 year old, including him placing his own nightmare into the mouth of Baku - the eater of dreams. Santa was really on form. 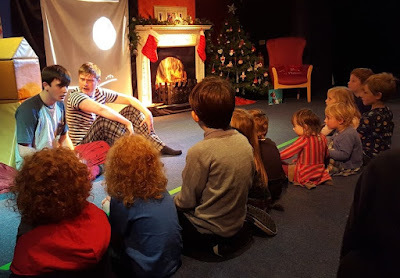 When you are next in line your elf chats to the children and then comes in to see Santa with you, and joins in the conversation, sometimes helping Santa when the children are mumbly. 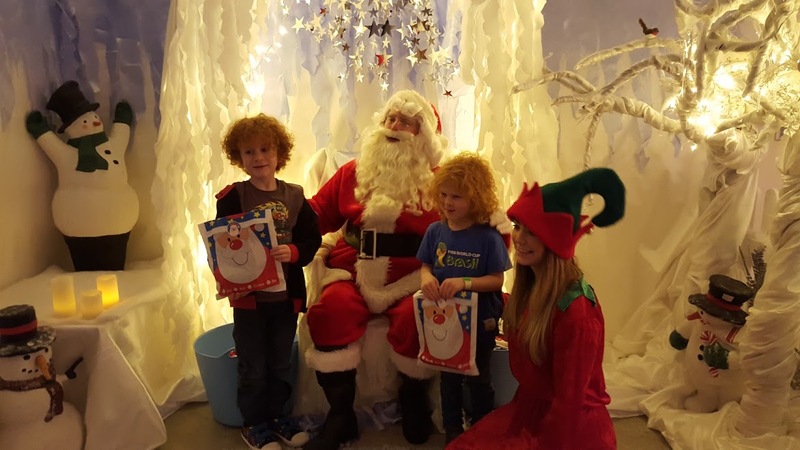 Santa had a really leisurely chat with my boys, who were quite in awe of him and very hard to get to say anything. There was lots of smiling and nodding though! When they did whisper their Christmas list, Santa kindly repeated it loudly so that the parents could hear! The grotto was gorgeous, and very magical indeed. The whole room was really large and all beautifully decorated, with a big thick rug on the floor for the children and elves to sit on. 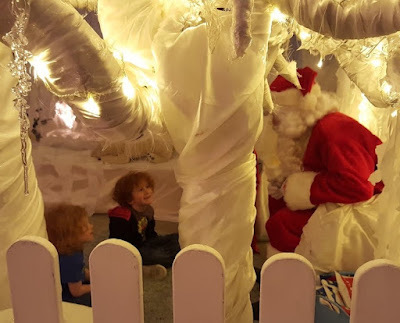 Santa was lovely and patient with my nervous lads, and did eventually even get my 5 year old chatting. A special mention for the staff at Eureka! They were lovely. The policeman shown in the photos at the top spent ages with my boys in the bank searching for bank robbers and teaching them to use the CCTV. The lady in the bank who was helping the children use the cash machine and delighting my 5 year old by answering the phone every single time was so patient and tolerant I asked her if she got fed up. Her answer was the same as the policeman's, that they had a fantastic job and it never gets boring or annoying. It's obviously as good a place to work as it is to visit. We had promised our boys we will return, and we took part in a competition on the day and found out afterwards that we won a free annual pass, so clearly we will definitely be back. Several times! An excellent adventure for anyone with children aged 0-11, and great fun for the adults with them too. Santa will be at Eureka! every day until Christmas, including Christmas eve. The Night Lights show continues at weekends until 3rd January and is also showing through the week beginning 21st December. For full timings and dates see the Eureka! Christmas page. Admission to Eureka! costs £12.95 for anyone 3+, £5.25 for age 1-3 and infants under 1 year are free. You can upgrade your admission to an annual pass FREE OF CHARGE by visiting the admissions desk before you leave and answering a few questions - you really can't get better value than that! Parking nearby is £3 for 4 hours, £6 for 12 hours (2015 price).